Execute the included setup program to install the FDI2056 Software. Copy the folder “Metrolab FDI2056” to the sub-folder “instr.lib” of your LabVIEW installation and restart LabVIEW. The Fast Digital IntegratorThe part of a fluxmeter that integrates the voltage... FDI2056 is the world's fastest and most sensitive voltage integratorThe part of a fluxmeter that integrates the voltage.... Simply plug in a sense coil and measure fast, low-level magnetic field disturbances such as eddy currents in a switched magnet. Equipped with a high-speed Analog-to-Digital Converter (ADC), high-resolution clock, and highly optimized digital integrator, the FDI2056 boasts a maximum of 500 000 partial integrals per second and provides resolutions down to 10-14 Vs with an accuracy of 10 ppm. The FDI2056 is based on two decades of experience building the world’s accepted standard for precision integrators, the PDI5025. Starting from a design licensed from the European Organization for Nuclear Research (CERN), the FDI2056 adds major enhancements, such as: improved time resolution and trigger rate; synchronized acquisition on multiple channels; a hardware-optimized digital integrator; and a large on-board buffer. 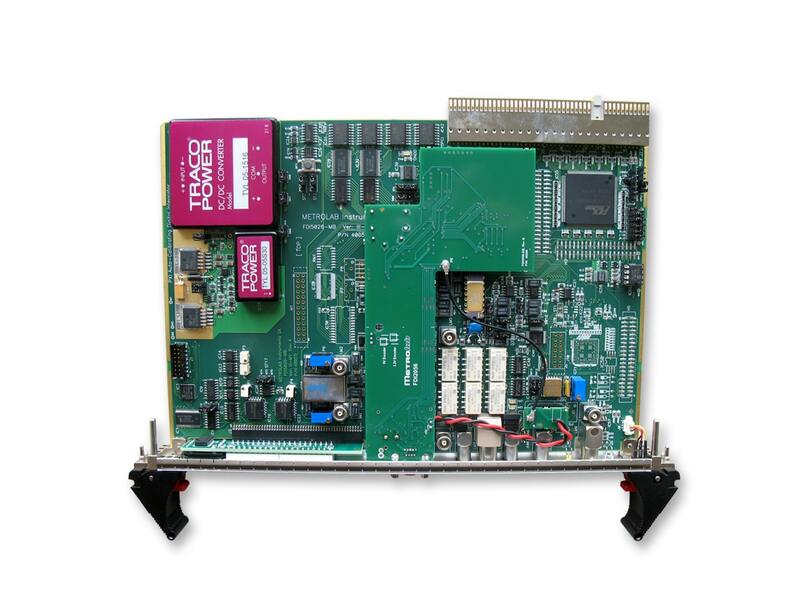 Equipped with a high-speed Analog-to-Digital Converter (ADC), high-resolution clock, and highly optimized digital integrator, the FDI2056 boasts a maximum of 500 000 partial integrals per second. In short, it is 500 times faster than the Metrolab PDI5025, the previous state-of-the art solution! This performance level allows measuring with fast rotating coils and capturing rapid transient signals, such as eddy currents and decay & snapback. The combination of the FDI2056’s Programmable Gain Amplifier (PGA) with its high-resolution ADC bring the instrument resolution down to an astounding 10-14Vs. The low-noise and high-stability digitizer, high-precision clock, self-calibration, and automatic drift compensation combine to guarantee an accuracy of 10 ppm. 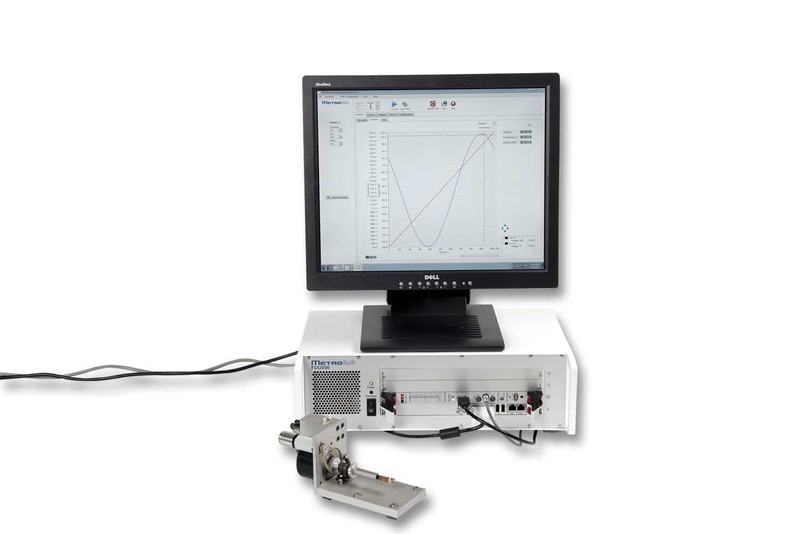 Metrolab’s FDI2056 enables physicists to capture low-level disturbances or check the integrated field of an undulator magnet quickly and accurately. The precision of the FDI2056 is only surpassed by NMR techniques. With the FDI2056, flux measurements can be precisely triggered with a vast possibility of trigger sources. The FDI2056 “trigger factory“ allows triggering flux measurements with an external signal, internal timer, position encoder, or software command. All commonly used linear or rotating encoders are directly supported. Sophisticated trigger programming allows prescaling, counting, and combining sources. The instrument eliminates electronics for trigger logic and synchronizes triggers on all channels. 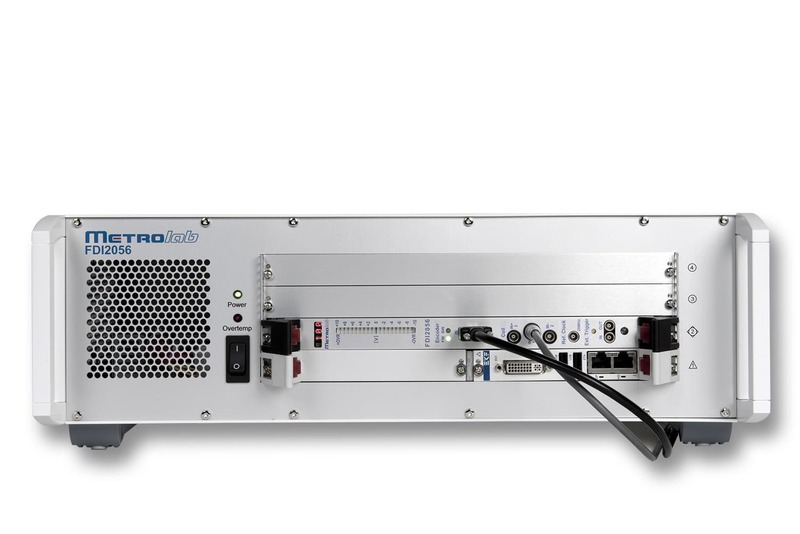 The FDI2056 can be configured to use an Ethernet or an RS-232 interface to connect to the host computer. The Ethernet interface uses the industry-standard VXI-11 and SCPI protocols, and is therefore compliant with the standards used by most major instrument suppliers. Using this interface, the full functionality is easily accessible using a standard VISA (Virtual Instrument Software Architecture) library. The RS-232 interface provides a command set compatible with the PDI5025, providing backwards compatibility with the PDI5025 to avoid rewriting your software. Software: do you like it standard, customized or embedded? Users can either get started immediately, using the standard FDI2056 software for Windows or Mac, or integrate the FDI2056 into a data-acquisition system using Metrolab’s FDI2056 API. Unless they’d like to shrink system size by eliminating the need for a separate computer. The FDI5026 includes a LabVIEW application to handle common data acquisition, correction, analysis and recording tasks. For special requirements, custom programming is easy, with full documentation, an Application Programming Interface (API), and source code. For industrial environments, the software can be hosted on the instrument’s industrial computer, eliminating the need for a host computer. The FDI2056 is designed with future enhancements in mind, and is upgradable on all levels – hardware, firmware and software. Users can download upgrades from the Metrolab web site and install them in the field. Your long-term investment is protected as you benefit form the latest improvement. Just what you need to adapt to new research challenges!